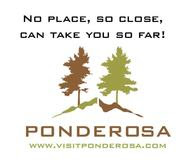 Ponderosa is a Christian Camp and Conference Center located on 650 acres nestled in the pine-covered Front Range of the Rockies, just 30 miles south of Denver and 20 miles north of Colorado Springs. Ponderosa plays host to various rental groups year-round - various ages & denominations of church retreats, family reunions, and schools. We offer Outdoor Education for school groups in the spring and fall. Our Programming Team plans camps for preteens and students in partnership with our Colorado Baptist General Convention with the mission of creating unique temporary communities that impact unbelievers with The Gospel and encourage believers to grow in their walk with Christ. We are looking for someone to assist the Food Service Director and the Assistant Food Service Director in all aspects of the dining hall. If you have a servant’s heart and a joy to serve a bit behind the scenes the dining hall is the place to be. You will learn the duties and pleasure of serving by learning to do dishes, cooking the main entrée and serving our guests three wonderful meals a day. You will learn leadership and management by helping the directors of food service in managing people, serving, ordering, and maintaining a kitchen that Ponderosa takes great pride in.